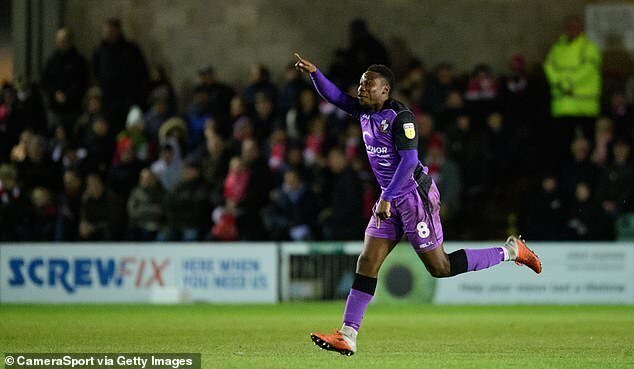 The hosts, who had not won any of their last three matches, were 3-0 up inside 12 minutes as Rhys Healey, Kieran Agard and Chuks Aneke found the target. Healey struck again just after the hour mark, Agard grabbed his second from the spot and Osman Sow netted to seal the rout. Lincoln looked set to maintain their five-point lead at the top of League Two but Manny Oyeleke's added-time strike for Port Vale meant it finished 1-1. Shay McCartan's 58th-minute had goal given the Imps the lead. In the early kick off in League Two, Neal Bishop grabbed the winner for Mansfield against a Grimsby side that had won their previous four matches. Bishop's first-half header temporarily lifted David Flitcroft's side up to second and extended their unbeaten league run to 17 matches. Bury came from behind to beat Crewe 3-1. Caolan Lavery cancelled out Chris Porter's early goal and Jay O'Shea scored twice after the break to give the Shakers a win which lifts them up to fourth. Forest Green made it five games without defeat with a 2-1 win over Northampton.